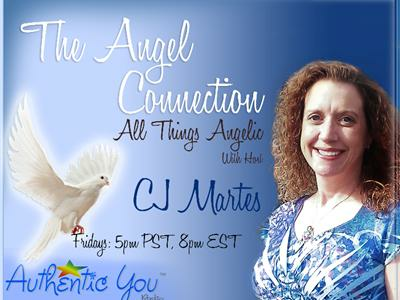 The Angel Connection: Just Ask CJ! You can submit your question via email ahead of time (deadline is March 22) and then tune in to her show for the answer. Only first names will be given on air, for privacy too. So go here to submit your question now before the deadline: http://www.cjmartes.com/question.asp Of course, CJ will also open up the phone lines for live callers first come, first serve throughout the show. Call toll-free during the show: 1-877-296-0345. Don’t forget about the Angel Message of the Week and Inspiring News at the start of the show.